Oceanographic Museum of Monaco is a museum of marine sciences, and was inaugurated in 1910 by Prince Albert 1. The Prince was very interested in oceanography and made several cruises in the Mediterranean Sea but also to e.g. the Azores and Svalbard. The museum is built on a steep cliff, and just the architecture is worth a trip to the Principality of Monaco, the second-smallest country in the world. The famous Jacques-Yves Cousteau, also a diving pioneer, was a curator at the museum for many years. 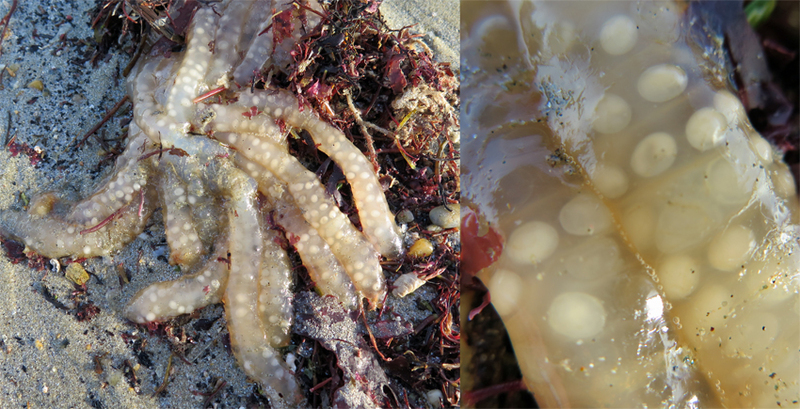 These rare, huge gelatinous spheres have been recorded from the North East Atlantic Ocean, and are attributed to squid egg mass. They are about 1 meter in diameter, and many of them have a dark streak through the center. 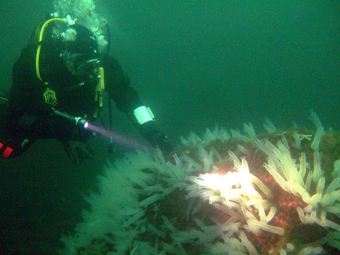 We are investigating these spheres, and have received around 50 observations, mostly from divers. The first observation is from Croatia in 1999. 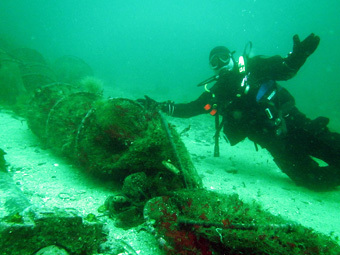 The first observation from the Norwegian coast is from 2001. So far we can only speculate which species make them. 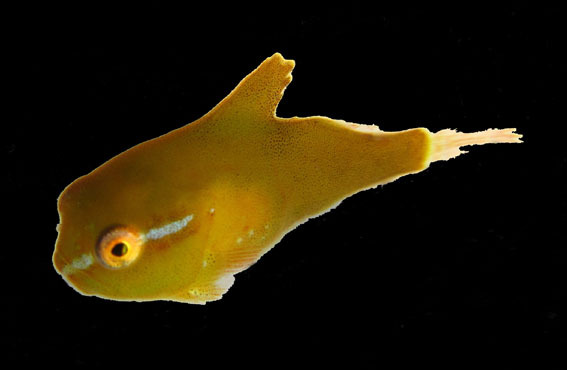 One suggestion is Todarodes sagittatus (Lamarck, 1798), but without a tissue sample for DNA analysis, we can not conclude. 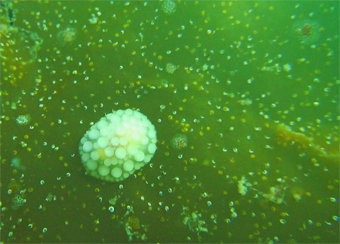 If you see such a sphere in the ocean, we would very much like a tissue sample. Could you please cut out a small tissue sample of the sphere wall, put it in a clean plastic bag in the freezer - before contacting us! Also, if you are able to take a picture or video of the sphere, that would be great! 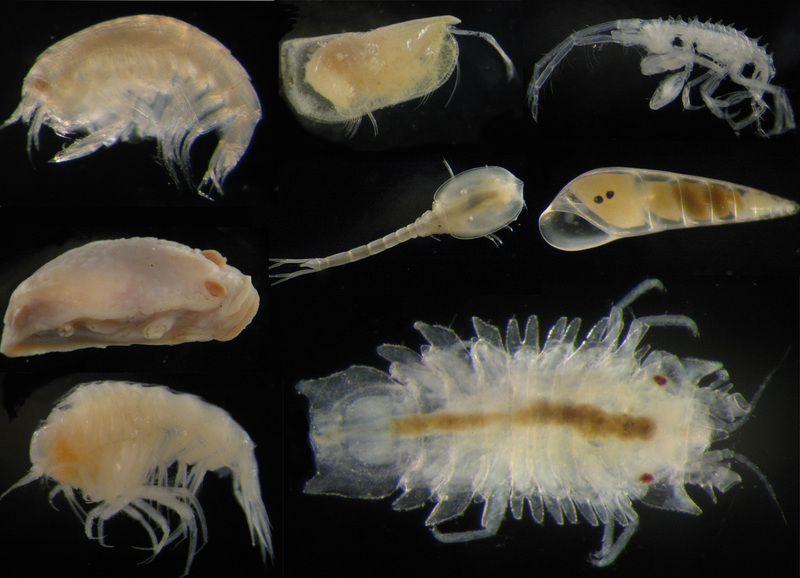 If you can provide us with an OK tissue sample, and we find the right species, you will be invited to join in on a scientific article! Many people are used to high and low tide twice daily, but that is not the case everywhere on the planet. 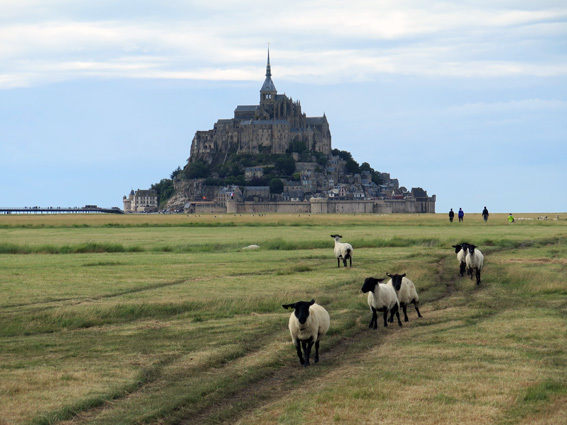 Mont-Saint-Michel is an Island situated in a large bay in Normandy in France, and the Island with its monastry, picturesque from every possible angle (! 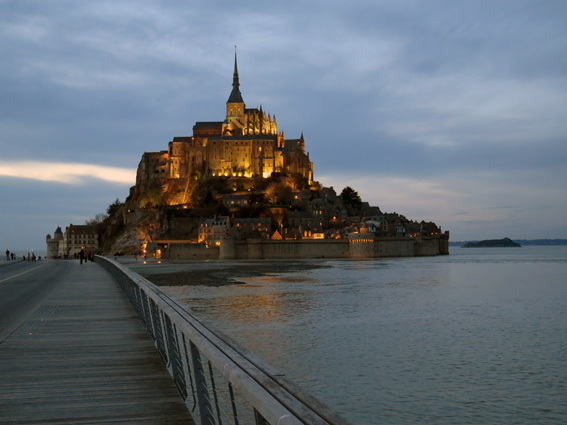 ), is one of the most visited tourist attractions in France. 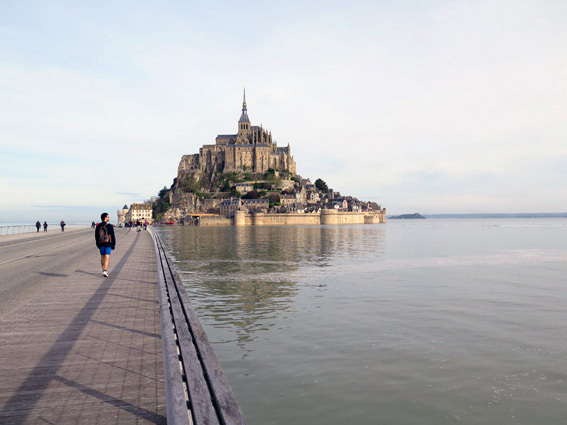 The large Mont-Saint-Michel Bay is part of the the English Channel, known for strong tidal currents, and the castle lies at the innermost part of the bay. Here, the tide only comes in every second week (at spring tides, not neap tides), and is then visible from the castle! This is not all, because since the Island is surrounded by mud flats, the tidal currents, or high tides, are only strong enough to surround the whole Island about 10 days a year! The phenomenon is called "Les Grandes Marées". It creates a tidal bore which is even more visible as it enters the long, narrow inlet at the mouth of the river close to the monastry. Legend has it that the tide comes in "as fast as galloping horses", but that is an overstatement. The tide comes in quite fast, but not that fast. 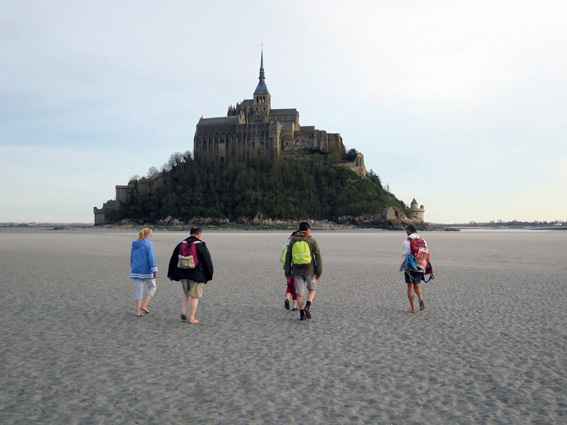 Walks around the castle at low tide is possible, BUT always walk with a certified guide. There is both quicksand and tidal currents to look out for! 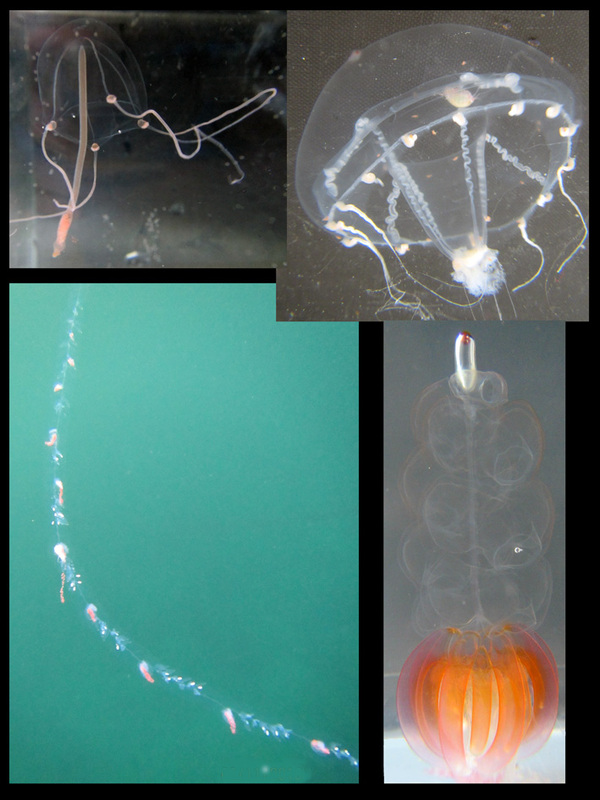 The two upper pictures show two common hydrozoans in Norwegian waters: upper left, Sarsia tubulosa described by M. Sars in 1835 and Tima bairdii (Johnston, 1833). 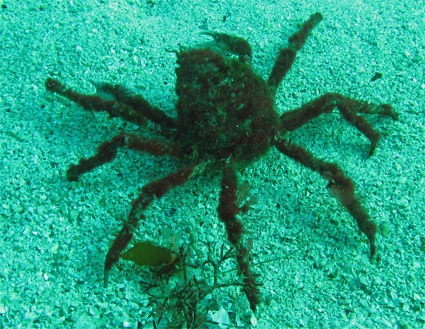 Notice the small crustacean, or amphipod, attached to the umbrella. 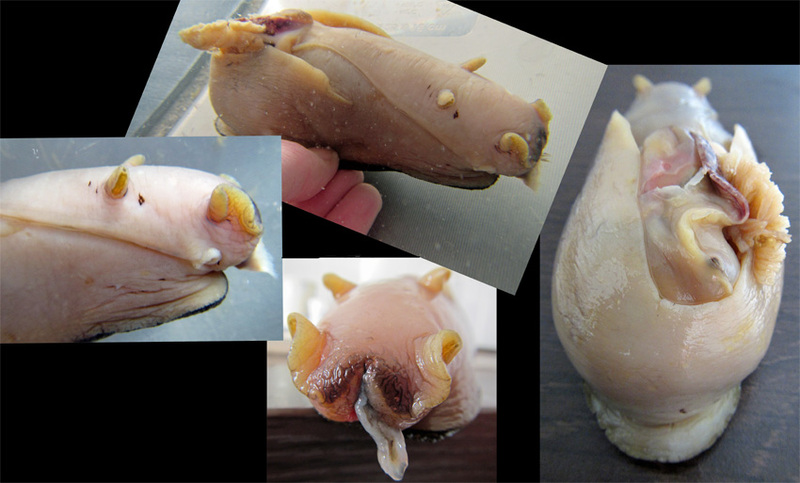 It is a parasitic hyperiid. months in deep waters outside Portugal, swims past France to the North Sea in the spring/ summer - and back again. Sea hare (In Norwegian: sjøhare), Aplysia punctata. 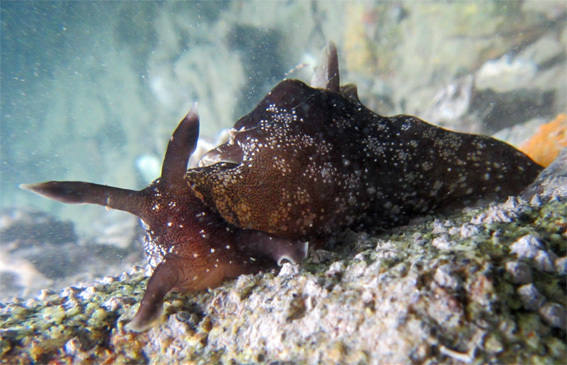 Color of sea hares may vary depending on what type of food/ algae they eat. (Photo: HR/ Sea Snack Norway). 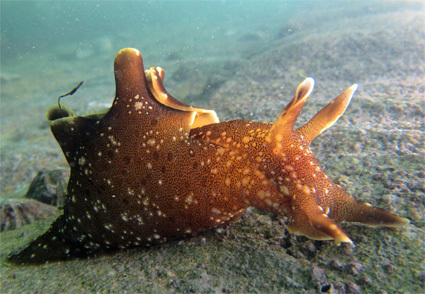 Sea hare, Aplysia punctata. They usually occur single but large amounts may be observed when mating. 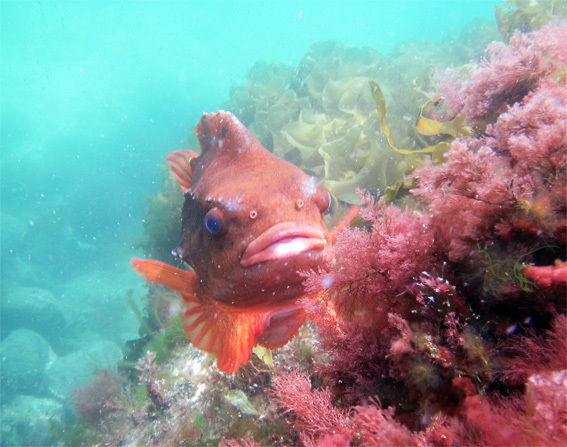 This species also occurs in Norwegian waters. but footprints. Kill nothing but time". A motto of the Baltimore Grotto. Diving gives you unique opportunitites in discovering interesting phenomena below the water surface. 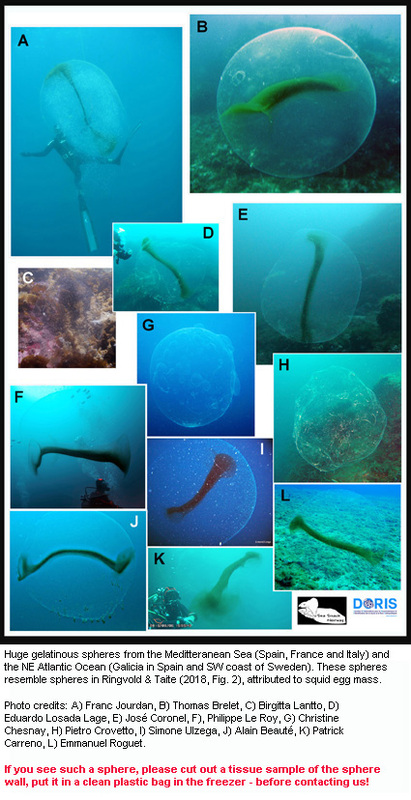 Here are some huge whale knockles from SW Norway, Bergen, possibly seen by humans for the first time. 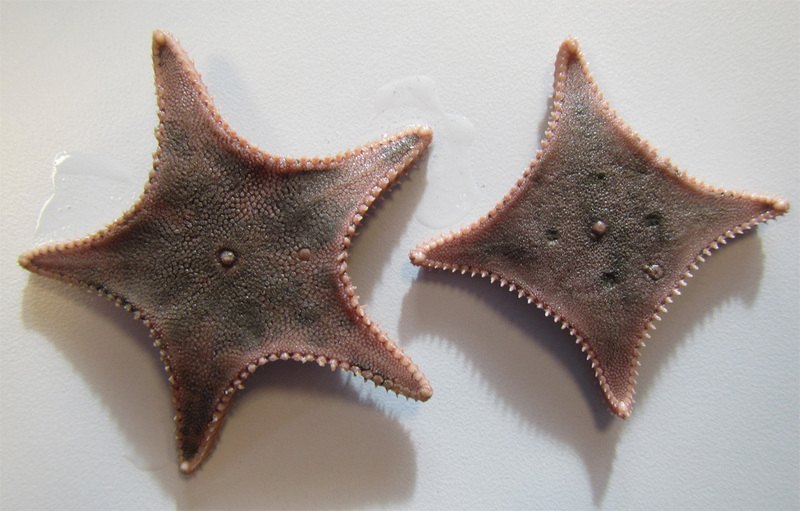 Have you ever studied a starfish (In Norwegian: sjøstjerne) under the microscope? 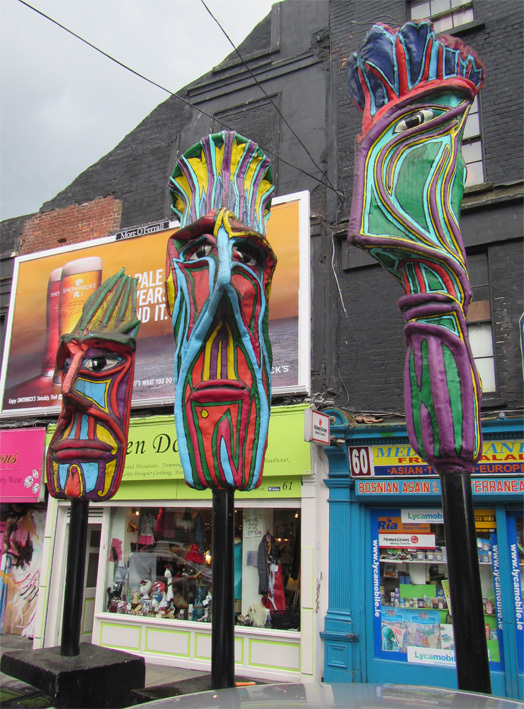 Try it, and you'll discover some fascinating structures. 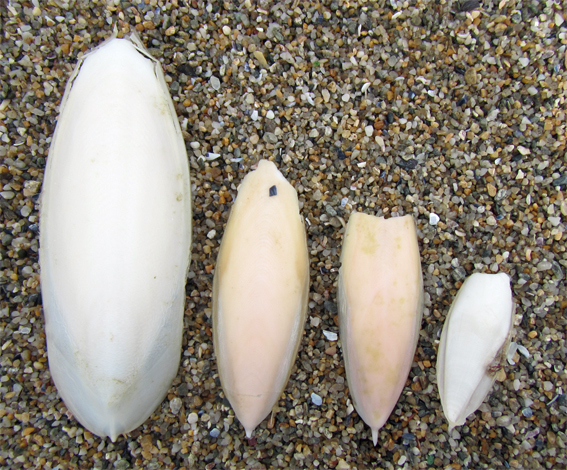 Here are three different shaped spines from three species. 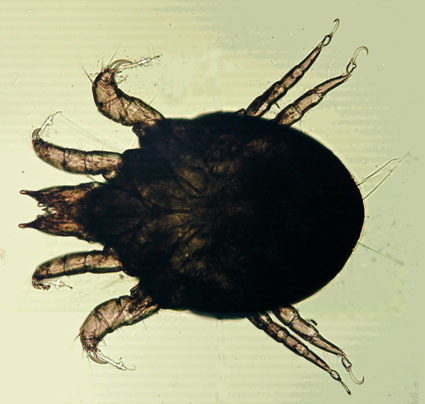 The spines are very small and fragile, all measuring under 0,5 mm in length. (Photo: HR/ Sea Snack Norway). Photo shoot of a juvenile garfish (6,5 cm long). 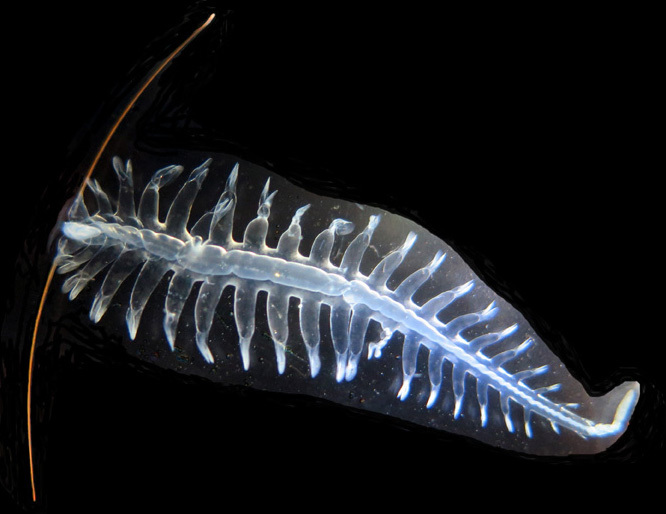 This live specimen was only 6,5 cm long, but adults become about 1 m long. In latin they are called Belone belone, described by Linnaeus in 1761. 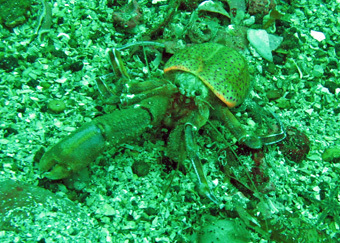 In several countries it is a popular seafood with green bones. 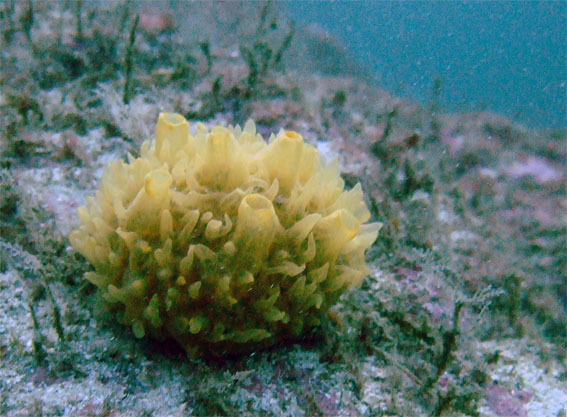 This may look like a plant, but it is a sponge (In Norw. : svamp) - the simplest of multi-celled animals. It can filtrate seawater for algae, bacteria, and even small crustaceans. All sponges may be placed in only four classes, of which mostly saltwater species. 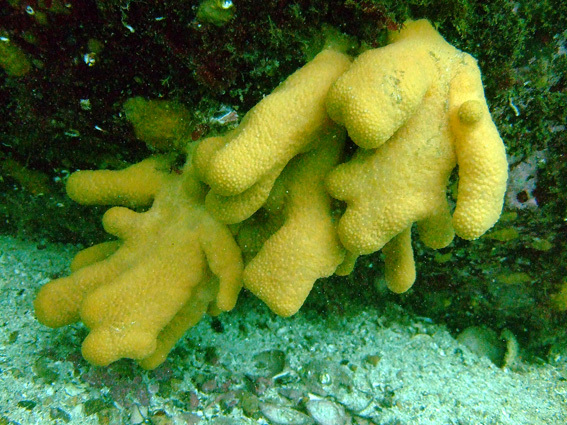 Most sponges are actually both females and males. Sponges are found to accumulate specific metals, so they might become promising biomonitors of metal contamination. Metals may be hazardous to humans since they are accumulated in aquatic animals, transported through the food web, and posing a risk to us through sea food consumption. Identifying sponges is difficult. 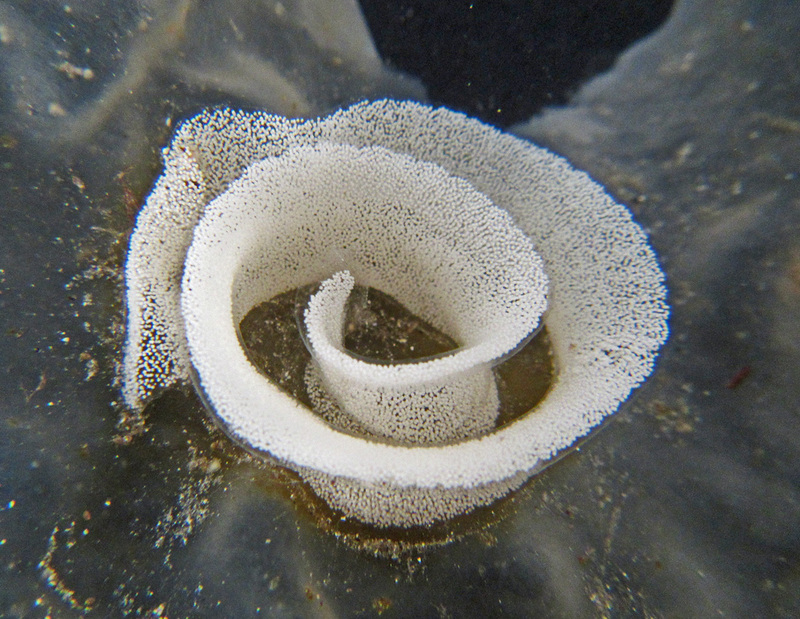 The sponge on the picture is probably Polymastia boletiformis, which was described by Lamarck in 1815. (Photo: HR/ Sea Snack Norway.). 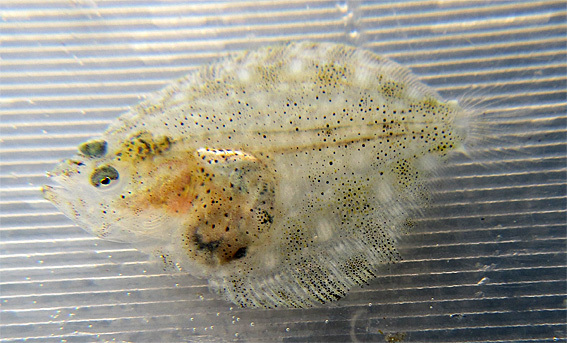 A juvenile flatfish (In Norw. : en juvenil flatfisk fra "varfamilien") caught at the surface in June. It is only 25 mm long, and around that time they settle on the bottom. 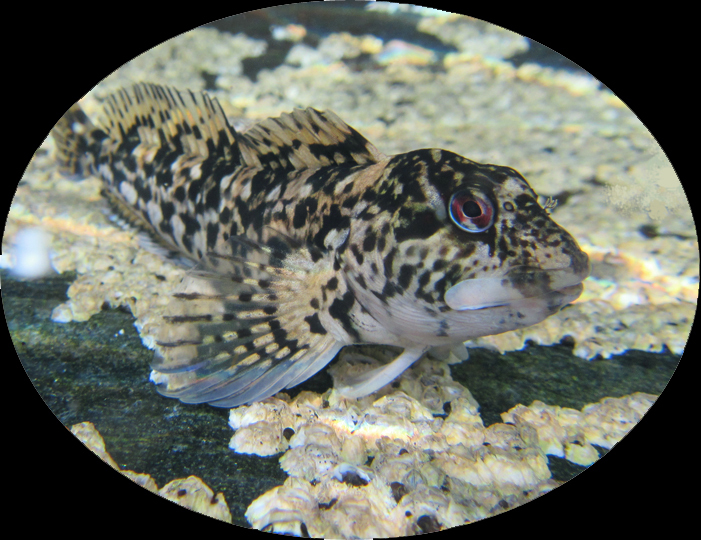 Both eyes are tilted to the left side, and this could possibly be a juvenile of turbot, brill or topknot (piggvar, slettvar eller hårvar). (Photo: HR/ Sea Snack Norway.). 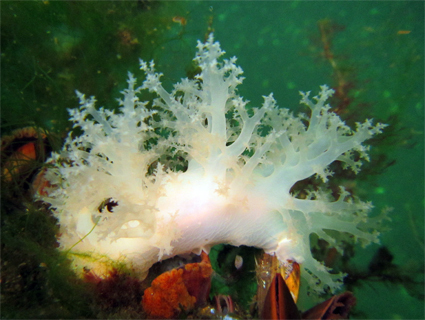 Mnemiopsis leidyi is invasive to Norwegian waters, and was discovered here for the first time in 2005. Lumpsuckers (in Norw. rognkjeks) enter shallow waters in late winter/ spring to spawn. 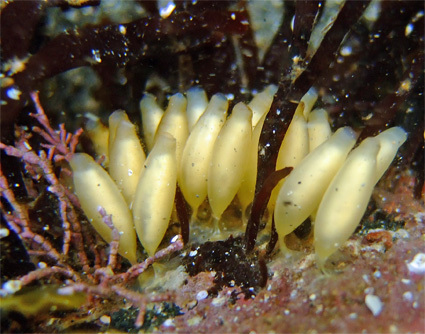 The males watches the eggs for 6-10 weeks before hatching. Usually the females spawn subtidally but sometimes just above low water spring tide level. 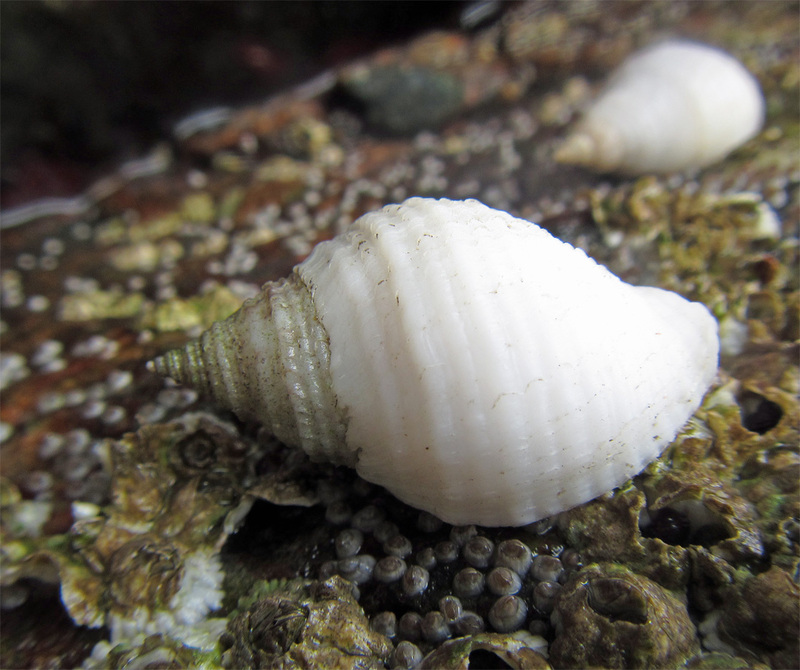 Males then have to spout water from their mouth over egg masses exposed to air by low tides! the fish in 1758. (Photos: HR/ Sea Snack Norway). 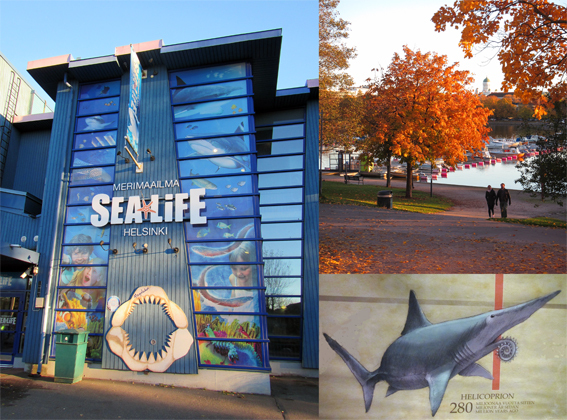 The Aquarium "Sea Life" in Helsinki is great fun showing many kinds of living sea animals. and the gonad. 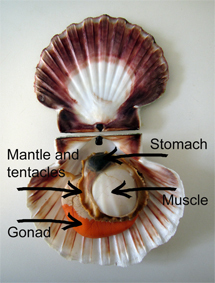 The male part of the gonad is white, and the female orange. is lost or abandoned are killing thousands of fish each year. 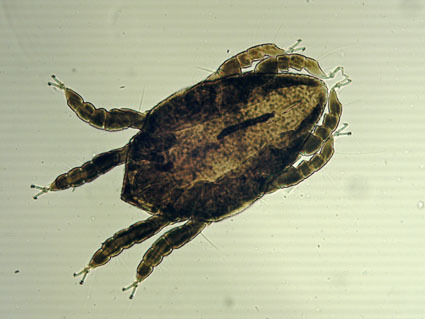 digitatum and was described by Linnaeus in 1758. Norw. : taskekrabbe) "hiding" in the sand. Tang og tare fra norskekysten (fra venstre til høyre): fingertare, remtang, sukkertare og tarmgrønske. 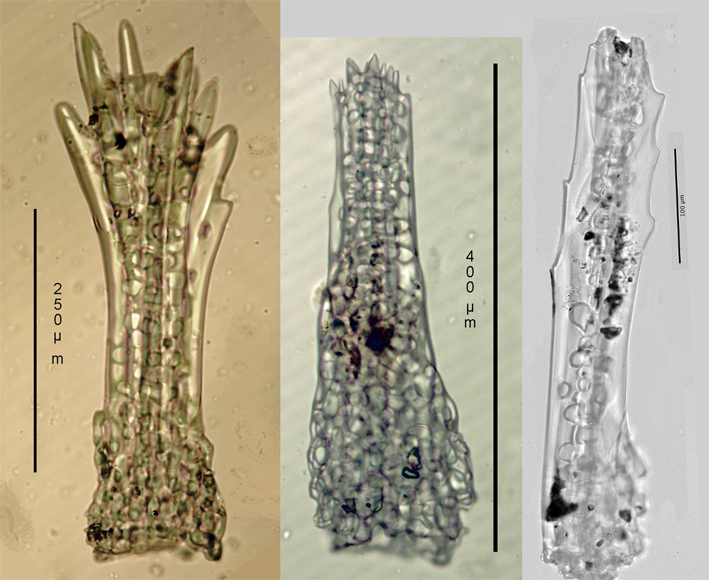 Latin (from left to right): Laminaria digitata, Himanthalia elongata, Laminaria saccharina, and Enteromorpha sp. coast. Research now looks into farming possibilities. 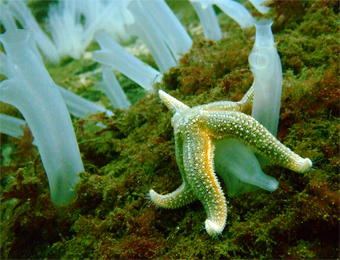 The starfish Asterias rubens eats "almost anything", and here it's on top of a sea squirt (Ciona intestinalis). also indicates settlement as far back as the Stone Age. 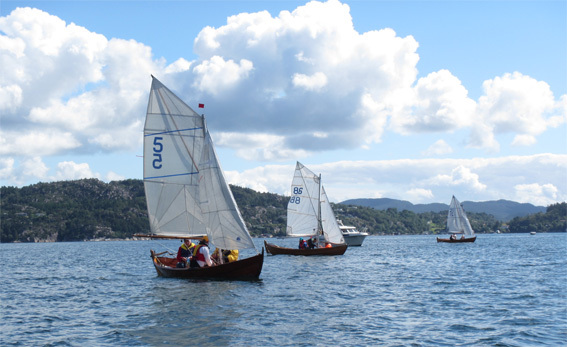 Norwegian Masters (NM) in sailing was arranged in Bergen in August 2015. 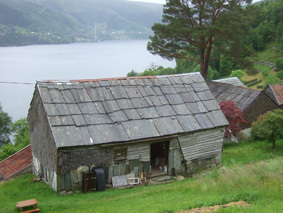 The boat type, "Oselver, spritsail", resembles old boats constructed in year 300, and has been typical in the South-Western Norway for several hundred years. The boats are between 5-10 m long, and are built of pine- or oak trees. was observed during diving at just a few meters depth. 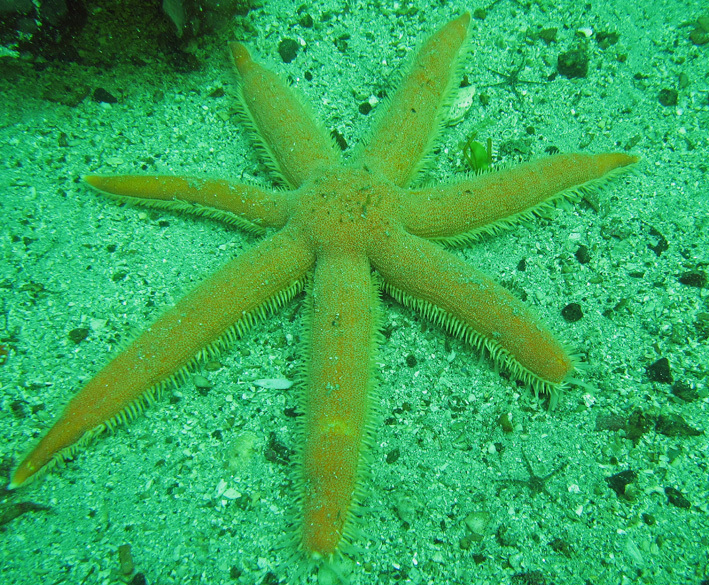 The starfish Luidia ciliaris (Philippi, 1837) observed in the Bergen area. In Norwegian it's called the "seven-armed starfish". Amphilochus manudens Bate, 1862, Boroecia borealis (Sars, 1866), Laetmatophilus tuberculatus Bruzelius, 1859, Doridoxa ingolfiana Bergh, 1899, Platysympus typicus (Sars, 1870), Gastropoda juv indet, Themisto sp., Tole laciniata (Sars, 1872). 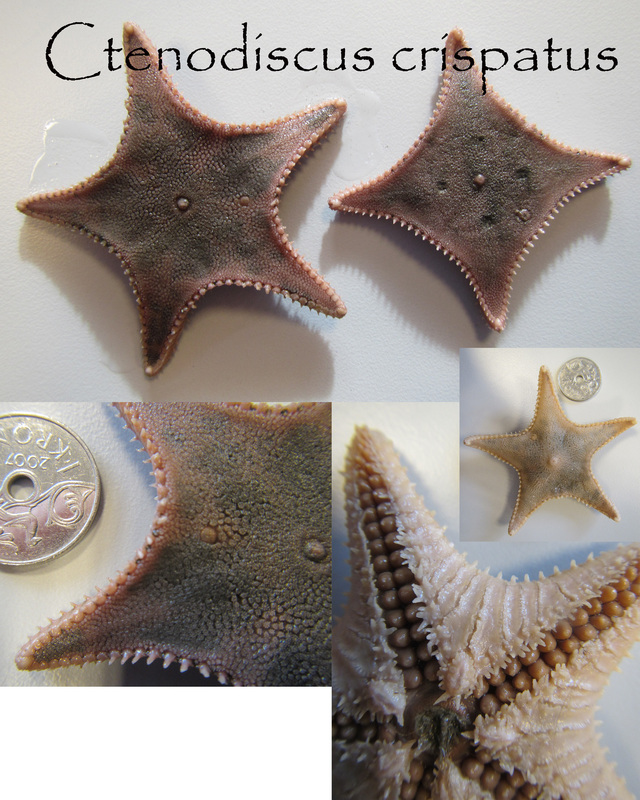 Starfish which usually have five arms can sometimes be deformed; Ctenodiscus crispatus (Retzius, 1805) from Iceland (Bioice-material). For additional image please click on image. 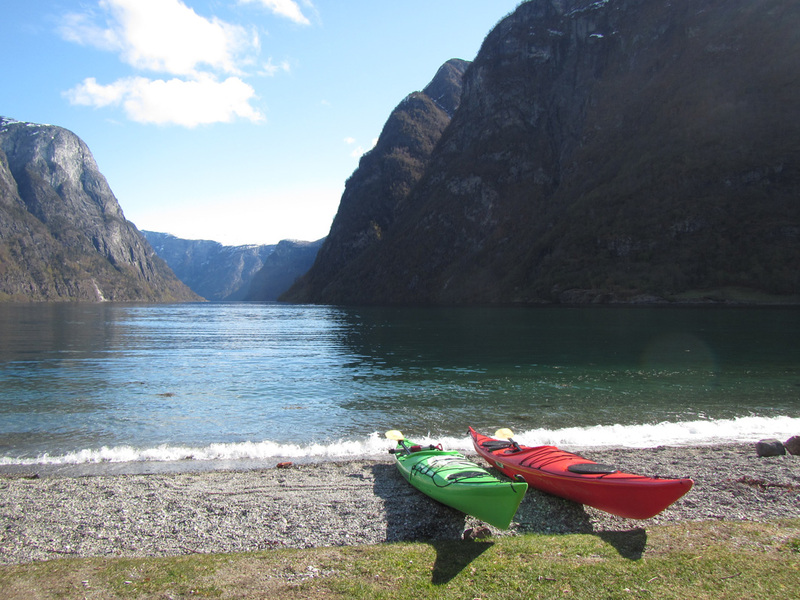 Kayak trip on the Nærøyfjord, Gudvangen, Norway. Water. The element that won’t be denied. Sweeping majestically across two thirds of our world. 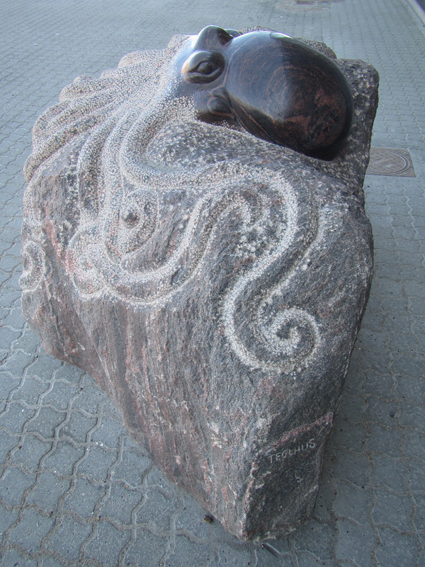 Studding the surface in a swirling pattern of lakes, rivers, seas, and oceans. A vast fluid theatre challenging the adventurer within us. It’s yours to accept. Don’t disappoint it. Give it your respect and enjoy the experience. in the littoral zone (in Norwegian: purpursnegl). Seaweed pipefish (Syngnathus sp.) 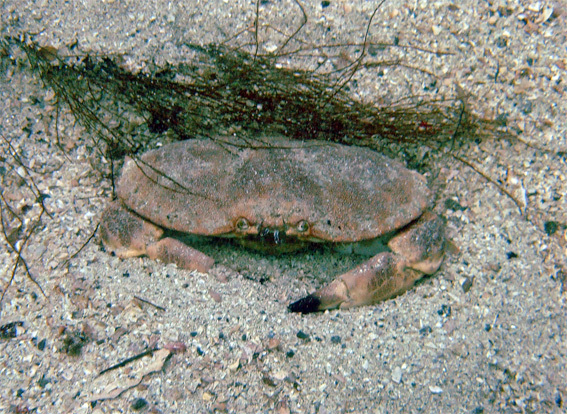 (In Norwegian: nålefisk) in the littoral zone, observed while catching small Crustacea. A trip to the Lysebotn fjord and "Kjeragbolten", a boulder (glacial deposit) suspended above a 1000 m abyss. For more pictures from Norway ( Norge, Norwegen, Noorwegen, Norvège, Noruega, 挪威 ) please visit www.visitnorway.com. 2019 Copyright © H. Ringvold/ Sea Snack Norway. All rights reserved.